The Egyptian-American journalist and activist Mona Altahawy shocked the Arabic world by naming her article on the oppression of women “why do they hate us”, talking about Arabic society and men in general. When she went head to head with an Aljazeera journalist she even said there’s a war being waged on women. (If you haven’t seen the interview, go check it out here). 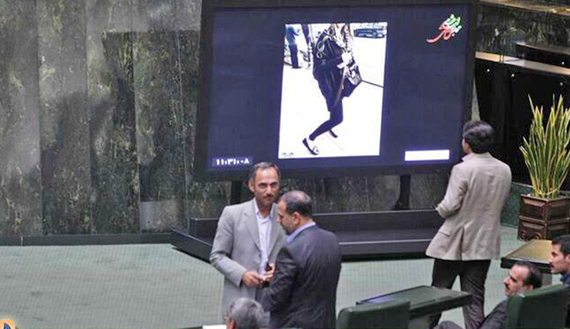 – Iranian Interior Minister Abdolreza Rahmani Fazli is summoned to parliament to explain why he hasn’t done more to prevent women from wearing leggings. Depressingly his answer wasn’t “why the hell should we care what women wear”, but an explanation that he’s already done five times as much as his predecessor under Ahmadinejad. And indeed, while not up to the level of previous decades, morality police has stepped up its patrols for the warmer months of the year. Teheran Bureau has a great report up on the subject. – Iran, once a leader in childplanning in the region with birthrates close to European standards, has just outlawed birth control methods!, severly penalizing anyone who either uses or spreads information on them. Methods targeted include, but are not limited to: abortions, vasectomies, tube-binding, sterilization. 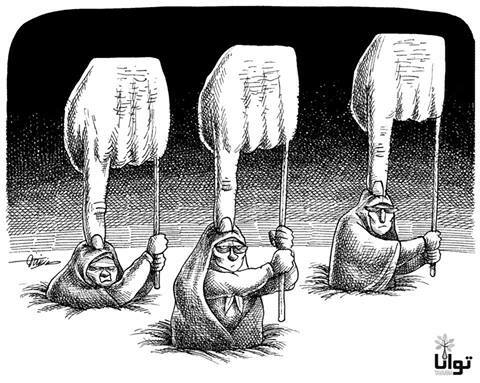 How it would be enacted, is unclear, but Touka Neyestani‘s cartoon for IranWire suggests it’s probably done in daring raids similar to when satellite dishes are removed. The law’s since been contested by Iran’s health minister who had wished raising the birth rate would not be done with methods that take away basic rights. – If you think the war on women is only fought by men, think again. There’s some very powerful women enabling and even attacking other women. For instance what to make of Fatemeh Aliya, one of three female representatives in the Iranian parliament, who has said this week women have no place in sports stadiums. They should rather stay at home and take care of husband and kids. She is yet to answer questions about what she’s doing in Parliament, rather than staying home.